I am always amazed at how creative and beautiful some of the pies I come across are. How much patience must you have to layer so many figs and grapes in such an elegant pattern? More than I have, surely. Luckily this tart is as easy to make as it is lovely. 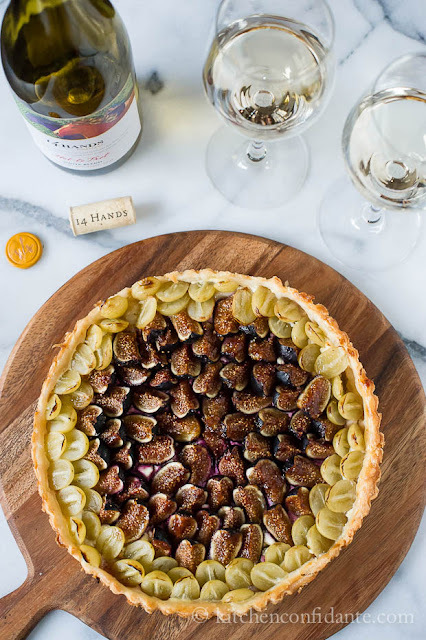 The crust is puff pastry and it is topped with goat cheese and then the figs and grapes are arranged on top. A tart that is simple and impressive? Count me in.